WGSN, the global trend authority, is urging the fashion industry to consider the need for sustainable style with the launch of its first ever physical denim trend line. The 20-piece sample collection for men and women, incorporating cutting-edge sustainable innovations with WGSN’s AW18/19 Future Trends, was created in partnership with Avery Dennison, M&J Group, Absolute Denim and Amsterdam Denim Days. Each garment was developed and produced using natural dyes and the latest sustainable techniques. Laser and ozone machines were used to replicate ‘wear’ and ‘washed’ looks, while water, energy and chemical consumption were traced with M&J Group’s START TO MEASURE™ system. It estimates that the WGSN AW18/19 sample collection benefits from 30% chemicals saving, 50% water consumption saving and a 50% energy saving based on industry best practices. The hangtags provided by Avery Dennison RBIS were also made from 100% recycled paper and printed with soy inks, which have a softer impact on the environment, while the labels were made from recycled fibres. 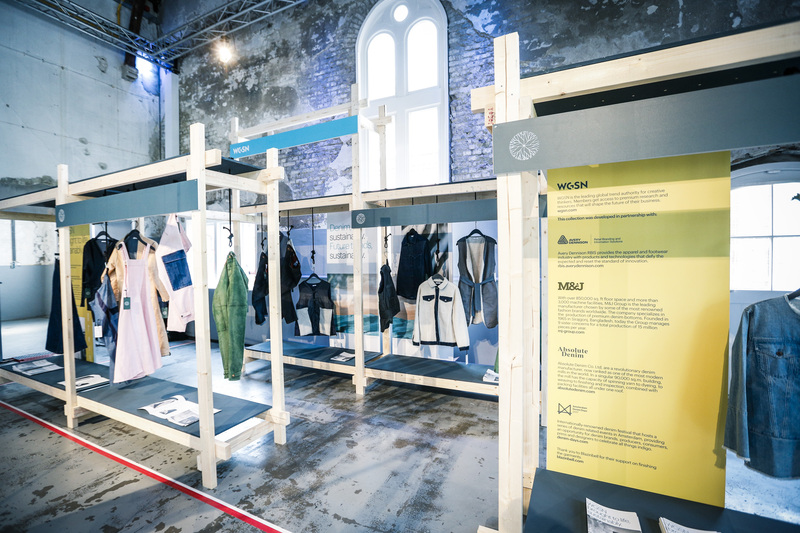 Dio Kurazawa, Denim Director, WGSN, said: “Sustainable collections often fail to reflect trend worthy design and, in doing so, miss the mark on consumer wants and needs. Many of our global customers are conscious of this and have been seeking our advice on how to bring WGSN’s seasonal denim trends to life in a sustainable way. Ascential powers the prestigious Cannes Lions festival for the branded communications industry, the world’s premier payments and financial services congress Money20/20, Spring Fair/Autumn Fair, the global fashion trend forecasting service WGSN, environmental risk data business Groundsure, e-commerce analytics provider One Click Retail and MediaLink, the strategic advisory and business services firm.